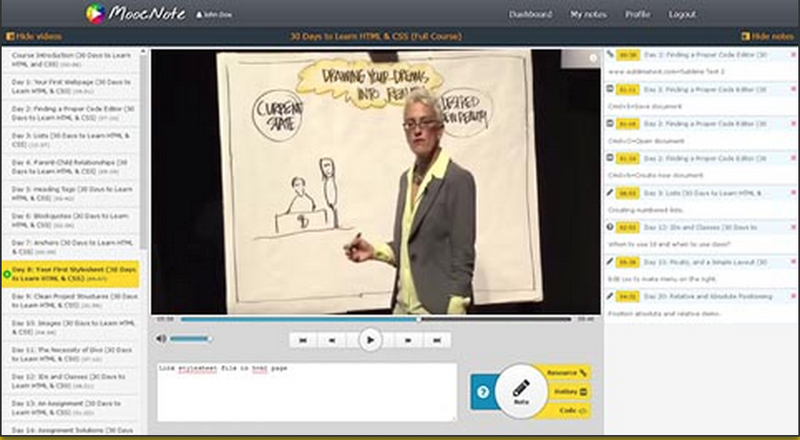 Another interesting feature provided by MoocNote is the ability to create discussions around video content by adding questions to your videos. You can attach questions to any video you import and get answers from the community. MoocNote is a bit similar to videonot.es but offers some additional features like building complete course catalogs, GoogleDrive and Dropbox support, public questions and answers, YouTube playlist import, centralised notes and so on. The site offers only free membership.